How Long Does It Take to Get a Divorce Through Mediation? 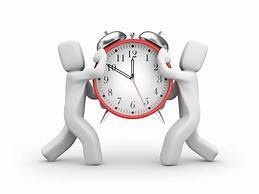 The time it takes to get “through” the Mediation Process initially depends on whether or not each party returns a properly completed Probate and Family Court Financial Statement. The Mediator needs a correct Financial Statement for many reasons. An insufficient Statement causes delay and increased cost. At the outset, the Mediator will provide clients with the form and instructions. To complete the Divorce Mediation the mediator will guide the parties through any issues surrounding the three major components of a Separation Agreement – the children, support and division of property. The length of time it takes to resolve each component is directly related to the amount of disagreement on each component. For example, if the parties have already agreed on how many over-nights the children will spend at each parent’s home, they have essentially resolved about 1/3 of the Divorce Mediation. The same applies to support. If the parties agree with the accuracy of each other’s Financial Statement and their respective post-divorce financial needs, they will also have resolved 1/3 of the Divorce Mediation. Lastly, if the parties agree on the accuracy of each other’s Financial Statement and have already decided how the property listed on each Financial Statement will be divided between them, then they will have resolved 1/3 of the Mediation. Assuming a fact pattern similar to the above, then the mediation can be completed in less than three hours. There remains only the preparation of the formal Divorce Separation Agreement by the mediator. (Only divorce mediators who are attorneys can prepare Divorce Separation Agreements.) Under the above scenario, it would take about one and half hours or less to prepare the Agreement. So how long does a divorce mediation take? About four to five hours if the Financial Statements are accurate and the parties are in agreement as to the major issues. What is the Difference Between Divorce Mediation and Collaborative Divorce? 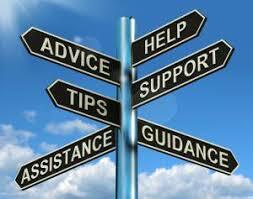 Assist you and your spouse in identifying those issues preventing settlement. Explore various avenues to resolution. Develop a settlement resolution acceptable to you and your spouse. The two of you will select the mediator. The mediator’s fees will usually be split between the two of you, however, the two of you may agree to a different responsibility for the fee. The mediator will provide all the time you and your spouse need to work on a resolution. Experienced mediators have settlement rates of between 85% and 97%. An attorney need not be present at mediation sessions. In COLLABORATIVE DIVORCE, you, your spouse, your Collaborative lawyers and Coaches make up the Collaborative Team. The Team has one goal, the quick and efficient resolution of all issues without trial litigation. 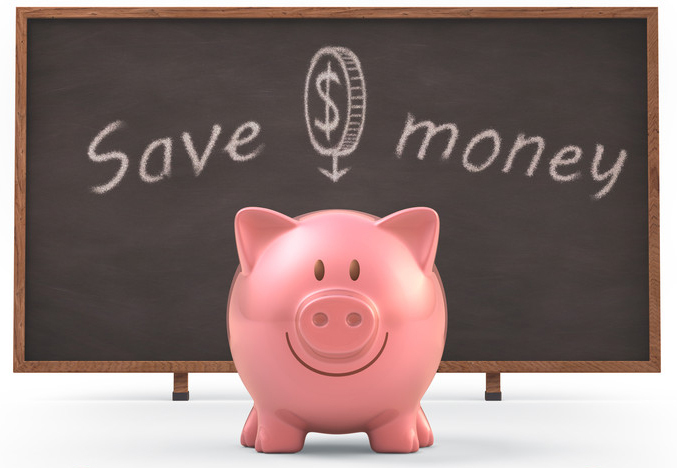 Coaches make your divorce process efficient and usually less expensive. The most common Coaches are the Facilitator and the Financial Neutral. The Facilitator expedites the process by helping you and your spouse identify term goals and overcome inter-personal roadblocks. The Financial Neutral expedites the process by analyzing the financial needs of your family, identifying tax provisions related to those needs and creating realistic plans to preserve family income and property. Coach hourly fees are often much lower than attorney hourly fees. In Collaborative Divorce, attorneys are specially trained and certified. Identify issues regarding the children, support and property division that are preventing resolution. Divide primary responsibility for resolving those issues. For example, issues dealing with the children will be addressed primarily by the Facilitator Coach; issues about the amount of support needed will be addressed by the Financial Coach. Have the required Separation Agreement, Petition for Divorce and Affidavit prepared, executed and filed. Have your attorneys accompany you to the Probate and Family Court for your divorce hearing before a Judge. From beginning to end, you are with and “supported” by a team dedicated to getting you and your spouse divorced quickly and efficiently. All issues are dealt with and resolved in confidential sessions. Your attorneys handle all the administrative court matters to get your divorce papers filed, docketed and scheduled for a hearing. At your divorce hearing your attorneys will respond to questions of the judge, thereby avoiding rescheduling of the hearing because you did not have an attorney to correctly answer questions. Feeling Stuck? Don’t know where to begin? Divorce can be overwhelming, scary and the fear of the unknown can be paralyzing. You need a plan. But where do you start? Regain control and clarity by learning about the legal, financial, family and personal issues that accompany the divorce process. Which legal process is best for you and your family? 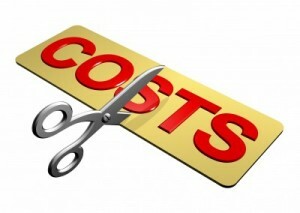 Is Mediation better and less expensive than Litigation? Is Collaborative Divorce better than Mediation? Will you get or have to pay Child Support and Alimony? What are Marital assets and how are they split? What about an Inheritance? Will our children be okay? How do we tell them? Our experienced, volunteer Family Law Attorneys, Divorce Coaches and Divorce Financial Analysts will provide the knowledge and information you need to empower you through the divorce process with confidence and peace of mind. What is My Primary Care Attorney Referral Registry? Congratulations to Attorney Robert (Bob) Jutras. Bob has been selected as one of the “Ten Best Elder Law Attorneys in Massachusetts”. Bob is a member of my Primary Care Attorney Referral Registry. Besides providing arbitration, mediation and collaborative representation, I am a Primary Care Attorney who will refer you to the experienced lawyer you need. My registry of experienced, respected attorneys is available for you. Email or call me when you need a referral. I’d be pleased to match you up. Anthony C. Adamopoulos is an arbitrator, mediator and collaborative attorney who practices in Salem, Massachusetts, and can be reached at: acaboston@aol.com or (978) 744-9591. Getting Divorced? 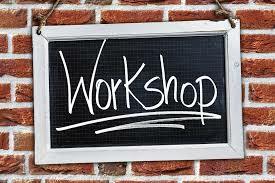 A workshop for those facing divorce. Learn about the legal, financial, family and personal issues that accompany the divorce process. 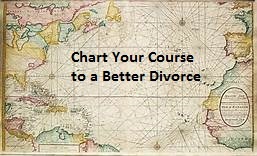 How do I get divorced and where do I start? Is Collaborative Divorce better than Mediation and Litigation? Will I get or have to pay Child Support and Alimony? Our experienced, volunteer Family Law Attorneys, Divorce Coaches and Divorce Financial Analyst will provide the information you need to empower you through the divorce process. Recently, a distressed client, I will call Casie, came to me. She feared for her future. Casie explained that her husband wanted a divorce and “claimed” he would “get” his lawful 50% of the house and her pension. Casie described in her marital history valid reasons why it would not be fair for her husband to get a 50% share. Massachusetts is an Equitable Division state. 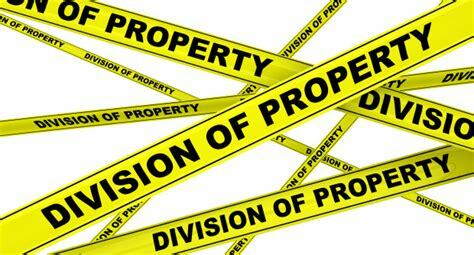 This means that a judge must first determine what is equitable (or fair) before dividing the property. The reasons that Casie offered in support of her belief that a 50/50 split would be unfair were the type of reasons a Family Court Judge would consider in deciding how to divide the value of the family home and a pension. the amount and duration of alimony, if any, awarded. the contribution of each of the parties as a homemaker to the family unit. In reality, judges consider these three factors along with the 13 listed above. So, the 50/50 rule does not apply in Massachusetts, and the Rule of Equitable Division provides for the consideration of many marital factors before a division is made. STUCK IN DIVORCE COURT? HERE IS YOUR LAST CHANCE TO CUT COSTS AND AGGRAVATION! Are you in divorce litigation? Are you having second thoughts – time standards, discovery cost, no trial in sight? Enough! You have complained to your attorney and your attorney reports that your spouse’s attorney has heard the same complaints from your spouse. Your attorney suggests mediation or conciliation. What is the difference between Divorce Mediation and Divorce Conciliation? 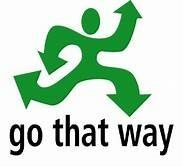 Assist you and your spouse in identifying and discussing those issues keeping the two of you from settlement. Explore with you and your spouse various avenues to resolution. Develop a settlement acceptable to you and your spouse. The two of you will select the mediator. The mediator’s fees will be split between the two of you or paid as the two of you agree. The mediation is private. There is no report to the Judge. If the mediation is in the 3-15% that fail, you and your spouse may enter a written agreement (stipulation) stating that all that was agreed to in the mediation shall not be litigated at trial. If the mediation is in the 3-15% that fail, the parties will have to return to the litigation process for the unresolved issues. Since you are in litigation, you must get permission from the judge to “take a time out” for mediation. Your attorney will handle this. If the divorce cannot be resolved, then the Conciliator explores the steps which remain to prepare the case for trial. The Court usually allocates two hours for the Conciliation session. The Conciliator is not paid, but there is an administration fee, currently $50.00 per party. The trained Conciliator will assess your “side” and your spouse’s “side”. You will then be able to consider the assessment in planning your next step, e.g., trial or settlement. The Conciliator does not get paid. The Conciliation lasts a short time, contrasted to Divorce Mediation. The Conciliator may report her/his assessment to the Judge and any opinion as to whether someone is not acting in good faith. Statistically, 97% of divorce litigation will settle within days of the trial. That means, even though you and your spouse each paid an enormous amount of money to get ready for trial, it may never happen (97% of the time). The sensible thing is to avoid more costs now, stop the litigation, and settle your differences in mediation or arbitration. DO I KNOW A GOOD LAWYER WHO DOES INTER GALACTIC SPACE LAW? Actually, I don’t; but if you needed one, I would make the effort to find one for you. After receiving a request for an elder care planning attorney, I was happy to refer the family to a trusted elder care and trust lawyer. I love receiving positive feedback. My network of experienced, respected attorneys is available for you. A decision of our Appeals Court, Gravlin v. Gravlin, is helpful for those facing divorce. For collaborative divorce attorneys and divorce mediators, the decision confirms that arbitration is the viable alternative to court litigation for resolving a single issue or even taking the place of a full court trial. In Gravlin, the Appeals Court acknowledged “… arbitration has long been recognized as a valid means of resolving disputes between divorcing parties.” This Blog has often praised the value of arbitration as an alternative to divorce litigation; with Gravlin, the Appeals Court stamped an imprimatur of sorts on divorce arbitration. While arbitration is available to replace a public court trial, it is also available if collaboration or mediation reaches a deadlock (a stalemate on one or two remaining issues); then, it is time for divorce arbitration. When parties follow a simple process, the Appeals Court promises a “… strict standard of review [that] is high[ly] deferential…” to an arbitration award. Respective counsel advise each party. Parties freely enter an Agreement to Arbitrate. Parties knowingly waive a court trial and submit to arbitration. The award is not based on fraud, arbitrary conduct, or procedural irregularity in the hearing. For collaborative attorneys and mediators, Gravlin is another reason to recommend arbitration for settlement stalemate. For parties facing divorce or divorce stalemate, arbitration is an alternative to a costly, lengthy and publicly litigated trial. *Anthony is a divorce arbitrator, collaborative attorney and divorce mediator. His office is in Salem. In every divorce there are non-law issues. Some are as basic as “Who gets the college chest”? or as complicated as “Where will the children primarily live”? Attorneys and smart parties are now using professional neutrals (also called coaches) to resolve those issues that are not distinctively legal in nature. A Financial Neutral expedites the process by analyzing the unique needs of your family, identifying tax provisions related to those needs and creating realistic plans to preserve family income and property. The Facilitator Neutral expedites the process by helping you and your spouse precisely identify short and long-term goals. Most experienced attorneys can do all that the neutrals do. But, they do it at their regular rates. 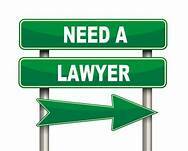 Experienced divorce attorneys charge between $350.00 an hour to $450.00 an hour. Some charge more; some less. The important point is that the hourly fee of your attorney is the same whether your attorney is working on the “separation agreement”, a legal document, or who gets the college chest – a distinctively non-legal issue. Experienced neutrals charge between $175.00 and $250.00 per hour. Who can use Neutrals? Parties in contested divorces are already using neutrals to do real estate or business appraisals. So why not other neutrals? Parties trying to “work it out” on their own can really benefit from neutrals. The Collaborative Divorce Process already uses neutrals. Ginny Simon and Linda Cohan are Facilitator Neutrals. Diane Pappas is a Financial Neutral. The fees of these neutrals follow within the range described above. All three are experienced mediators – a plus. HELP OTHERS TO KNOW: You are invited to post this article on your web site, blog or social media.